www.dailyfastnews.com, Jakarta - The Indonesian government, through the Ministry of Energy and Mineral Resources (ESDM) or the Ministry of Energy and Mineral Resources stated, will consistently implement the new policy governance of mining, when negotiating with PT Freeport Indonesia. Special Staff of the Minister of Energy and Mineral Resources (ESDM) Djuraid M. Hadi said the government will not change the new policy governance of mining listed in Government Regulation No. 1 of 2017, but will consistently implement. "It was already clear in Regulation (Regulation) No. 1 of 2017. There is no change. We can not retreat to discuss re-PP, no. But how PP is implemented," said Hadi, in Jakarta, (19/03/2017 ). To note, the one that stipulated in Government Regulation No. 1 of 2017, is the disposal of shares (divestment) by 51 percent by Freeport. According to Hadi, the divestiture must remain transactions are carried out, the government can not compromise about such obligations. "Government regulations are clear why. The sentence clearly stipulated in Government Regulation. So do not retreat anymore. We're going forward," said Hadi . 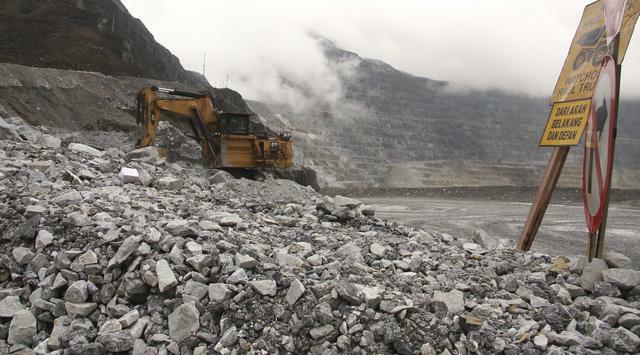 Previously, the Government through the Ministry of Energy and Mineral Resources (ESDM) held negotiations with PT Freeport Indonesia on Tuesday this week. Negotiations conducted to find a way out of policy application downstream. Watched Liputan6.com at the Ministry of Energy and Mineral Resources, the group represented Freeport Freeport Clementino Lamury Director and Executive Director Tony Wenas Freeport arrived at the office located at Jalan Merdeka Selatan those around 13:00 pm.